This Bank Holiday Monday The Blues make the short journey to Ship Lane, Aveley to face newly promoted Thurrock F.C. Thurrock are captained by former Town player Rich Halle. They also have Glenn Poole as a player/coach. The Fleet started the season with defeats against Margate and Needham Market before a 3-2 home win against Dorking Wanderers. Their fourth match was played on Friday night as Worthing visited Thurrock. Glenn Poole, who made nearly 200 appearances for Town, clocked up his 100th for Thurrock as they won 3-2. 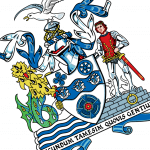 Thurrock were formed as Purfleet F.C. in April 1985 and joined the Reserve Section of the Essex Senior League. They made the step up to the Essex Senior League for the 1986-87 season finishing third and winning the Essex Senor League Cup. They retained the League Cup the following season and won the Essex Senior League title. They finished runners-up in the Isthmian League Two North the following year and were promoted, only to be relegated the season after. Purfleet became Thurrock for the 2003-04 season and finished third in the Isthmian Premier, allowing them to be accepted in to the newly formed Conference South. They ended the season having won the Essex Senior Cup (which they retained the following season) and Isthmian League Cup. They spent eight seasons at this level, finishing third for the first of these seasons but losing out in the play-offs for Eastbourne Borough. Thurrock were relegated twice in two seasons to the Isthmian 1 North were they spent the last four seasons, never finishing outside the top ten. 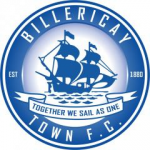 It appears that Purfleet and Billericay Town first met at Ship Lane on Tuesday 27 December 1988 in the Isthmian League Division 2 North. The Fleet won the match 6-1. They won the match at New Lodge 2-1 four months later. Since 1988 the two sides have met 29 times in competitive matches. Purfleet/Thurrock have won 14 of the matches scoring 50 goals, Billericay 4 wins having scored 34 times, with 11 matches being drawn. This stadium has been the clubs home since they were formed. The nearest train station to the ground is Chafford Hundred. There are buses that run from Lakeside to Ship Lane. These will be running a Sunday service. The train station is two stops from Upminster, which is on the line between Basildon and Fenchurch Street.